I grew up on Hydra Island, Greece, a unique destination in the world, known for the architecture and the peaceful surrounding as no cars are allowed and people's lives go at different rates. Growing up here, the magic scenery gave me the motive to get involved with photography. During my studies in photography I discovered a different world, the world behind the lens… and how interesting that could be through my eyes. 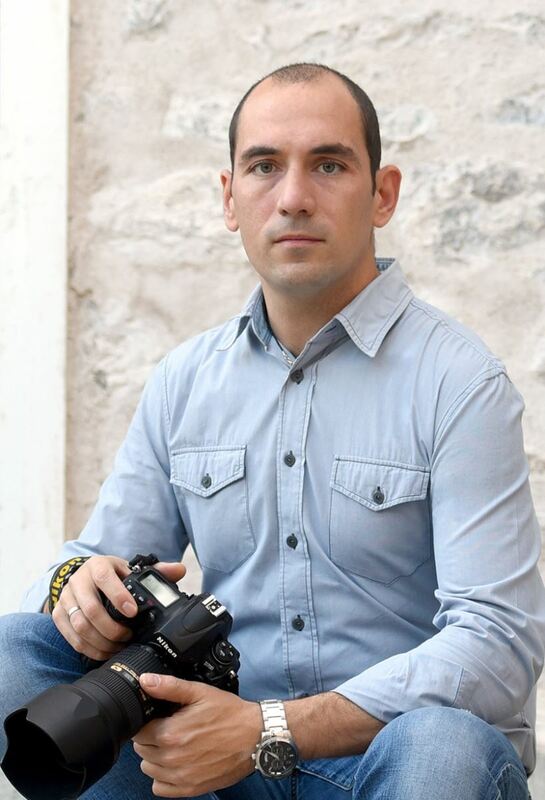 I worked as an assistant photographer for 2 years in Athens and since 2006 I own the store "Irida'" in Hydra and have shot hundreds of weddings. Each time there is a different story to be told and I feel very honored when couples select me to be the one to capture their special moments, samples of which you can see in my portfolio along with landscape, architectural and fashion photos. I have shot famous artists' works and my photos have often been published in known Greek magazines and newspapers. Hydra is my main base but I am also available for destination weddings and photography. It is always a pleasure visiting new places, seeing new perspectives and learning new techniques. My team and I, always use the highest technology equipment in order to have the best result in photos and videos. I love taking natural, spontaneous pictures. My goal is to capture unique moments in my pictures that you will admire for the rest of your lives.